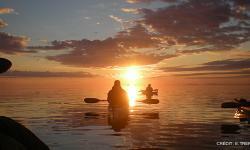 Mer et Monde Ecotours in Tadoussac, Quebec, Canada make for an unforgettable experience with professional guides, sea kayaking, exploring the marine environment, the whales of the Saint-Laurent estuary and other adventures. 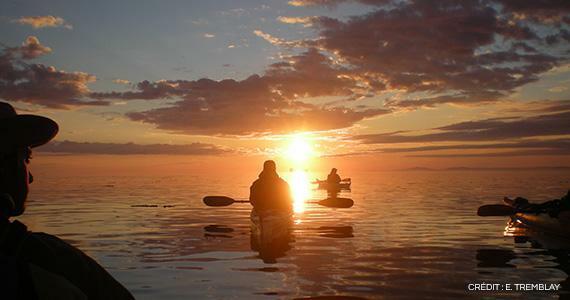 Enjoy full days of paddling the magnificent Sageunay Fjord and hiking in the panoramic mountains, there's also sea kayaking for beginners at the mouth of the fjord and the sheltered bay. 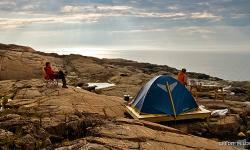 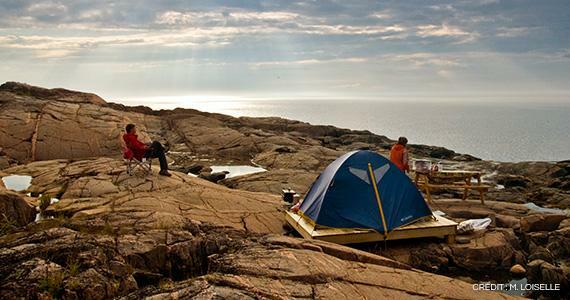 Listen to whales of St. Lawrence using a hydrophone, stay over in their ready to camp tents, wake early to the sound of the whales, see a breathtaking sunrise, and enjoy a comfortable stay in the wild surrounded by nature, it's the perfect way to enjoy St. Lawrence and the whales, Mer et Monde Ecotours awaits you.